The most complete swimmers mental training manual on the planet - used by swimmers, coaches, and athletes of many other sportsImprove your performances. Achieve your personal best times, and overcome slumps easily, with a powerful and proven mental training program. Complete swimming program for all aspects of swimming improvement with mental training. Mental training program for open water swimmers, to overcome the obstacles, fears etc and reach your peak performance. 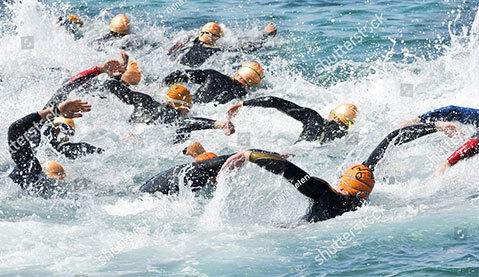 Adapt to any conditions, on any day, at any time, at any event, with a mental training program for Tri. Get a hypnosis / visualization recording created specially for your exact needs - to overcome your own personal barriers and reach your highest goals. Loaded with $100 of free extras! CD purchasers also receive the MP3 version. Mailed daily from Nevada throughout the USA via USPS First Class Mail, or Air Mail for overseas orders to destinations shown.